Does Eating Fish Help Prevent Cancer? 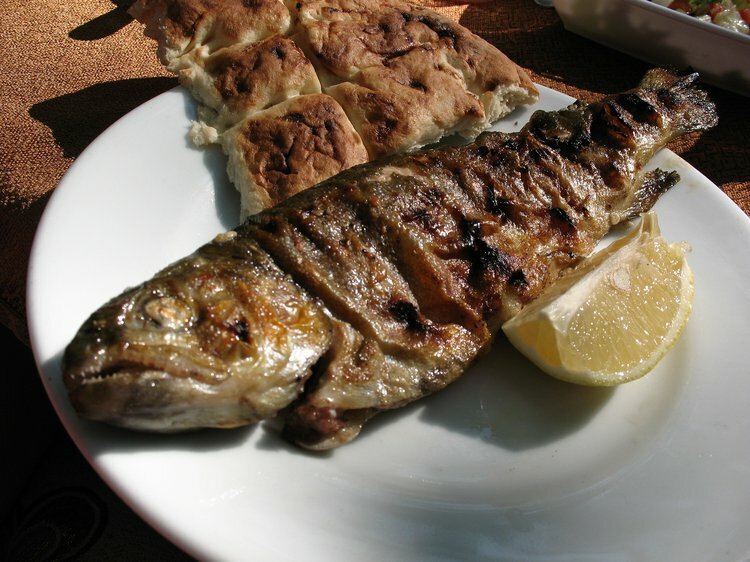 Fish is a great and healthy dietary choice that is rich in proteins, vitamins, and minerals. Fish also contains unsaturated fatty acids and thus helps decrease body cholesterol levels. Fish is a great and healthy dietary choice. It is rich in proteins, vitamins, and minerals that our body requires for several important functions. Protein is essential for enzyme creation, oxygen transport, and for the maintenance of healthy cells and tissues. Fish also contains unsaturated fatty acids and thus helps decrease body cholesterol levels. It is well known that fish contains significant nutritional benefits and is good for one’s heart health, but emerging research is not very clear if eating fish may be good for reducing the risk of cancer. It is well known that omega-3 fatty acids are not produced in the body, but our body obtains them from dietary sources that include fish, walnuts, and pumpkin seeds. Nevertheless, consuming fish oil supplements or lots of oily fish in your diet, such as tuna, salmon, mackerel, herring, and trout, has been called to question via a publication in the Journal of the National Cancer Institute. In a study by Fred Hutchinson Cancer Research Center, it was found that the overall risk for prostate cancer increased by 43% and for aggressive prostate cancer by 71% on daily consumption of excess amounts of fish oil. Blood samples revealed that men who developed prostate cancer had more omega-3 fatty acids in their blood than men who did not develop cancer of the prostate. On the other hand, Mayo Clinic suggests adding fatty or oily fish into one’s diet in order to help prevent prostate cancer. According to Harvard Medical School, even though deficient omega-3 fatty acid states are linked to several health conditions, like cardiovascular disease, arthritis, and even cancer, it does not imply automatically that excess omega-3 fats in the body are beneficial. The Natural Medicines Comprehensive Database mentions that high doses of fish oil may be effective in preventing body weight loss in some patients due to cancer medications. The Database also informs that there is research to indicate that fatty fish taken regularly may be effective in decreasing endometrial cancer risk in women. The American Journal of Clinical Nutrition found in a 2011 study survey during colonoscopic screenings conducted on nearly 2000 women that those who regularly took fish at least three times each week had 33% lowered risk for colorectal cancer. This value was deduced by checking for the presence of adenomas (polyps) in women during the procedure. The National Institutes of Health (NIH) warns that individuals with familial adenomatous polyposis (an inherited condition with many polyps on the intestines) may be at risk for cancer if they regularly take fish oil. The Cancer Research UK says that at present, there is no specific and concrete evidence established between healthy diets and lowered risks for cancer. The EPIC (European Prospective Investigation into Cancer and Nutrition) study, one of the largest cohort studies in the world, reports that individuals who ate fish daily (an 80 gram portion) had lowered bowel cancer risks by up to three times than those who ate only smaller portions weekly. The EPIC study though is still inconclusive and needs further research to qualify results. Hall, M.N., et al., A 22-year Prospective Study of Fish, n-3 Fatty Acid Intake, and Colorectal Cancer Risk in Men. Cancer Epidemiol Biomarkers Prev, 2008. 17(5): p. 1136-43. Brasky, T. M., Darke, A. K., Song, X., Tangen, C. M., Goodman, P. J., Thompson, I. M., ... & Kristal, A. R. (2013). Plasma phospholipid fatty acids and prostate cancer risk in the SELECT trial. Journal of the National Cancer Institute, djt174. Murff, H. J., Shrubsole, M. J., Cai, Q., Smalley, W. E., Dai, Q., Milne, G. L., ... & Zheng, W. (2012). Dietary intake of PUFAs and colorectal polyp risk. The American journal of clinical nutrition, ajcn-024000. Terry, P., Lichtenstein, P., Feychting, M., Ahlbom, A., & Wolk, A. (2001). Fatty fish consumption and risk of prostate cancer. The Lancet, 357(9270), 1764-1766. Garland, C. F., & Garland, F. C. (1980). Do sunlight and vitamin D reduce the likelihood of colon cancer?. International journal of epidemiology, 9(3), 227-231. Aronson, W. J., Glaspy, J. A., Reddy, S. T., Reese, D., Heber, D., & Bagga, D. (2001). Modulation of omega-3/omega-6 polyunsaturated ratios with dietary fish oils in men with prostate cancer. Urology, 58(2), 283-288. Geelen, A., Schouten, J. M., Kamphuis, C., Stam, B. E., Burema, J., Renkema, J. M., ... & Kampman, E. (2007). Fish consumption, n-3 fatty acids, and colorectal cancer: a meta-analysis of prospective cohort studies.American Journal of Epidemiology, 166(10), 1116-1125. Chavarro, J. E., Stampfer, M. J., Hall, M. N., Sesso, H. D., & Ma, J. (2008). A 22-y prospective study of fish intake in relation to prostate cancer incidence and mortality. The American journal of clinical nutrition, 88(5), 1297-1303. Divisi, D., Di Tommaso, S., Salvemini, S., Garramone, M., & Crisci, R. (2006). Diet and cancer. Acta Biomedica-Ateneo Parmense, 77(2), 118.